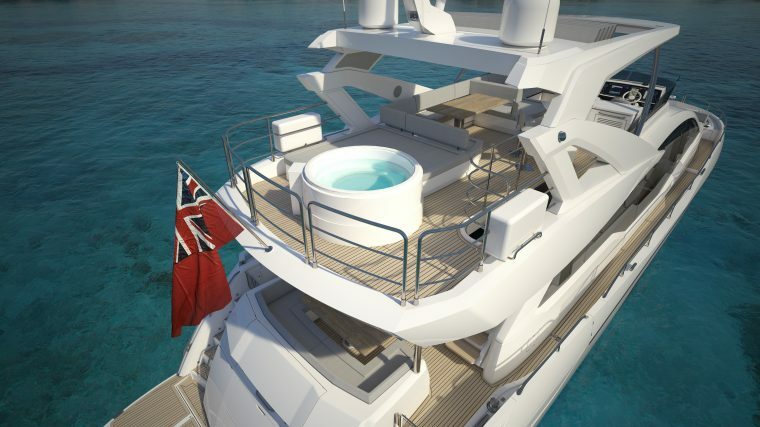 The stunning all-new 76 Yacht gives you everything you would want from a Sunseeker, and so much more. Performance, style and space – the all-new 76 Yacht is unmistakeably Sunseeker from the exceptional sea-keeping of the very latest deep-V hull design to the class leading space throughout her beautifully appointed decks – this incredible new yacht is without doubt the new benchmark for her class. 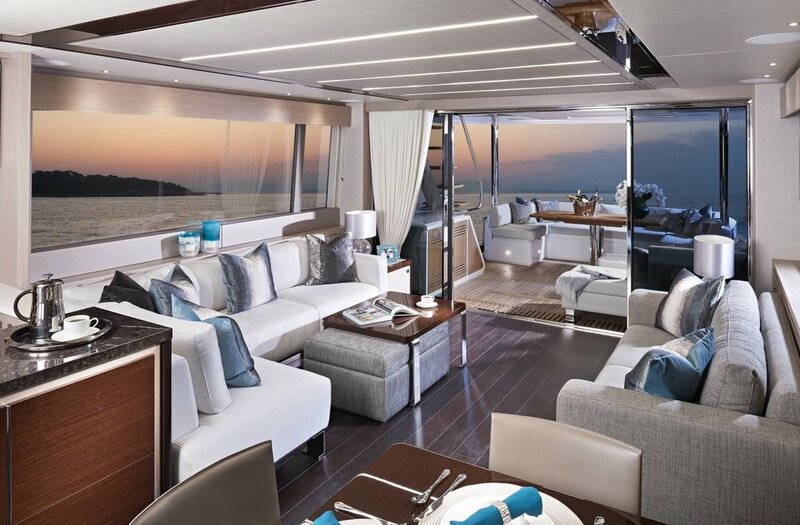 The 76 Yacht’s impressive layout continues out on the foredeck, where again space is maximized and large twin sunbeds, fore/aft seating and optional refrigeration ensure this a highly sociable area too. For even further customization, your cockpit can be adapted for additional lounge seating or cocktail bar, with the stern equipped for an additional mini beach club, complete with a barbecue grill, fold-out seating and a rain shower, perfect for entertaining family and friends, making the most of the extended bathing platform, which can accommodate a Williams 445 tender. Fresh water capacity 1,400 litres 370 US gal. Fuel capacity 6,000 litres 1,585 US gal.